Joseph Hodgkinson’s 1778 map of Suffolk shows that a windmill already existed near to the current site on common land close to Thelnetham Fen at that date. Local records show that this was a post mill owned by William Button and that he decided to replace it with a tower mill, early in the 19th century. Tower mills were “new technology” and had been built elsewhere in Suffolk during the late 18th century but not in the Diss area. 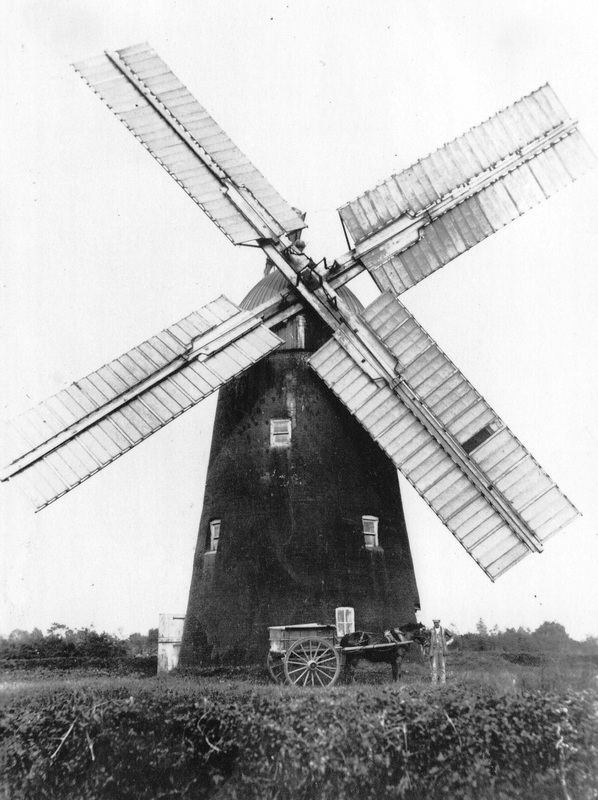 The existing mill was sold on, dismantled and re-erected in a field off Sandy Lane in Diss where it existed until 1902. Construction of the new mill was started in July 1819 and the mill was first set to work on Christmas day 1819. At the time of construction it was the only building for several hundred yards around. It was built with cloth sails and continued to work in this format during the 1820’s. The industrial revolution increased the availability of cast iron and facilitated changes to mill technology during the early 19th century. 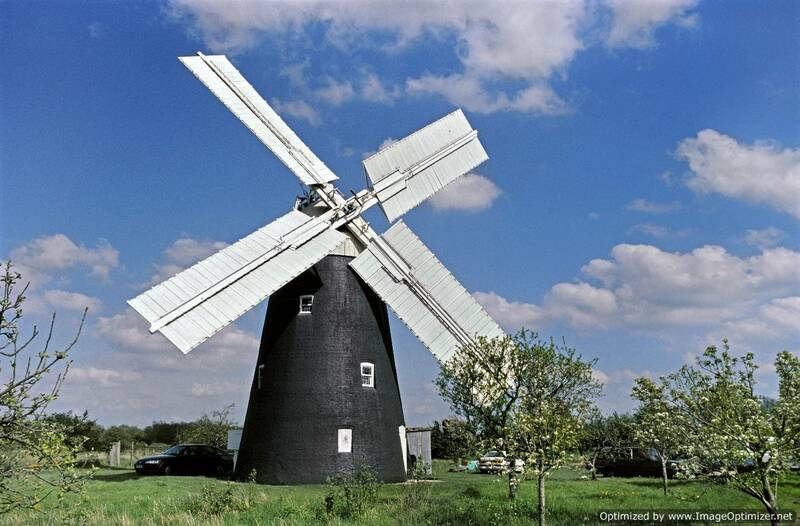 In 1832 William Button decided to refit the mill with “Cubitt’s Patent Sails”, a cast iron windshaft and a fantail to turn the cap and sails into the wind automatically. There is evidence that the milling machinery was altered internally at this time. The mill remained in the Button family until 1862 when it was sold to Robert Peverett, a local miller. It was subsequently sold by auction in 1884 to Henry Bryant who modernised it and by 1892 had introduced a portable steam engine driving a pair of stones on the ground floor of the mill for days when the mill was becalmed. In 1914 the steam engine was replaced by a Hornsby oil engine. 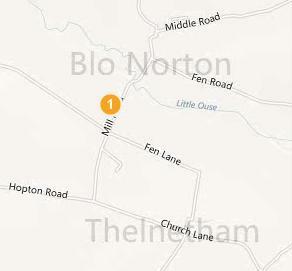 Government flour restrictions introduced in 1916 put an end to the mill’s most profitable trade and in 1920 Henry Bryant sold the mill to Alphonso Vincent, a retired millwright from neighbouring Blo Norton. He carried out some repairs to the mill which by then was down to two sails as a result of accidents and poor maintenance. Alphonso died in 1932 and the mill passed to his son George Vincent who moved to the mill and lived in an old lorry converted into a caravan and in the mill itself. He tried to keep the mill together but it deteriorated further from that date. On his death the mill was sold for residential purposes but not converted and in 1979 was purchased by a group of mill enthusiasts. This group commenced restoration of the mill in 1980. The new cap was fitted in 1983, followed by new sails in 1985 and the restoration was completed in 1987. The mill that can be visited today is the result of this restoration. 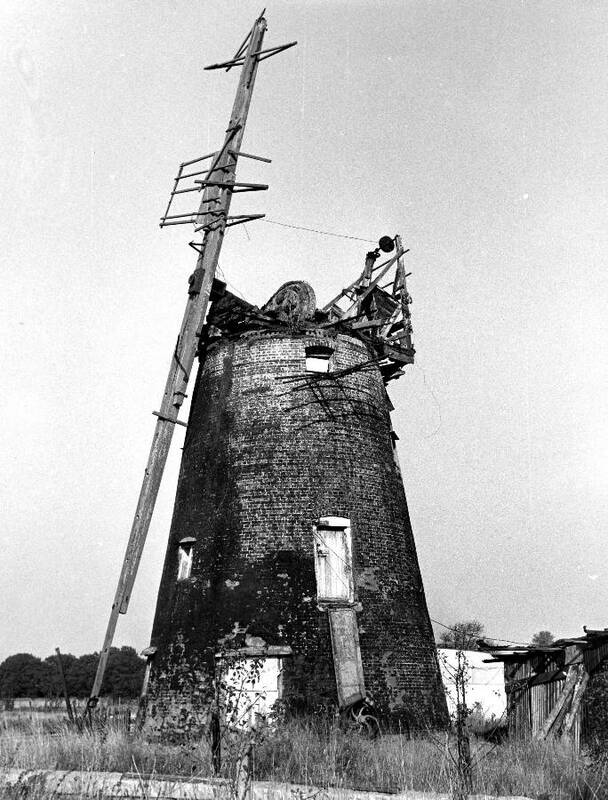 Thelnetham Windmill is now one of only four preserved tower mills in Suffolk and one of the few windmills in East Anglia in full working order.